If you ask people which of their five senses they’d most regret losing, a large number of them would say ‘sight’. Indeed, eyesight is one of life’s most precious gifts. It fulfils a full spectrum of needs from the physical to the spiritual. So why not do everything you can to improve it? Most of us today have eyesight problems to some extent. And eye trouble is the kind that just gets worse with time. There are fortunately a few ways in which you can regain the full strength of this magnificent gift. Let’s take a look at some of them. Simple eye exercises can improve the strength of your eyes and help them to naturally maintain 20/20 vision or even improve vision if you have a number. You don’t need to look up how to do eye exercises as the concept is actually quite simple. For five minutes a day, make your eyes practice the full range of motion that they are capable of. Look up and down then side to side, make squares or circles or any shape you like with your sight. You may feel a little silly doing them, but the eye is like every other organ in the body – you need to exercise it to keep it in shape, so to speak. Just make sure you’re on your own and have some privacy when doing these eye exercises or the people who happen to glance your way will think you’re crazy! Research has shown that those who exercise three or more times a week have better vision and their eyes do not degenerate as rapidly as those who exercise less or not at all. The exercises do not need to be vigorous. A walk for half an hour, a bicycle ride around the park or a few laps in the pool will all do just fine. Be sure to consult a doctor before starting any exercise routine. Macular degeneration is a normal part of aging. Like your skin and hair, your eyes too will begin to show signs of wear and tear in the form of vision loss. Hippocrates said ‘let food be thy medicine and medicine thy food’. So if you’re looking for a remedy for a health problem of any kind, there is indeed a solution in your diet alone. A balanced diet is crucial, of course, but here are some foods that are particularly good at improving eyesight. Greens – Spinach, broccoli and peas will provide a powerhouse of nutrition which will stave off vision loss. These foods contain very high levels of vitamin A which are crucial for the health of your eyes and reduce your risk of vision loss too. Sweet potatoes – They too contain vitamin A and make for a healthier alternative to regular potatoes. Blueberries – Boasting one of the highest levels of antioxidants found in nature, blueberries are one of the best foods to eat for eye health. Including them in your diet on a regular basis will also prevent age-related vision loss. Red onions – They contain an antioxidant called quercetin which is believed to reduce your risk of cataracts. Fish – The omega 3 fatty acids in oily fish like salmon and tuna have protective qualities which keep macular degeneration at bay. Beetroot – The deep red and deep pink fruits and veggies can thank anthocyanins for their lovely color. Anthocyanins are phytochemicals which are antioxidants that have the unique task of taking care of tiny blood vessels like the ones in your eyes. Citrus fruits – You’re basically looking for anything with high levels of vitamin C here. Studies conducted over a 10 year period showed that people who had higher levels of vitamin C in their diets on a regular basis reduced their risk of cataracts by more than 75% and had better vision than their counterparts who took in lower levels of vitamin C.
Meanwhile, cut down on the amount of salt you add to your food. Research has shown that you can increase your risk of developing cataracts if you have a high salt intake. Instead, flavor your foods with spices and herbs. Also limit the number of times you eat bakery goods and processed food. They contain high levels of artificial sugars which contribute to macular degeneration. What? Spend more time in front of a TV or computer screen to improve my vision? Well, science definitely thinks so. A study conducted a few years ago revealed that playing action video games improves eye strength and ability, thus contributing to maintaining good vision and perhaps even improving it. However, too much time spent staring at a screen can negate the benefits of the video games so don’t overdo it. Also, try to wear glasses with a protective tint when playing. If you have very bad vision, you won’t improve it much with just the tips above. You’ll need medical intervention if you hope to ditch your glasses altogether. Laser eye surgery is an almost-painless procedure that takes barely 30 seconds to do, with recovery taking place almost immediately. Care needs to be taken for at least a week after but you can resume your regular activities within hours of the procedure. 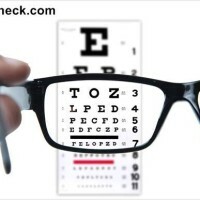 It is economical, safe because of amazing advancements in technology, and it can give you 20/20 vision again. Consult your ophthalmologist to see if you qualify for laser eye surgery. Apart from the above guidelines, it is also crucial to take general care of your eyes if you hope to prevent loss of vision. Wear sun glasses when you’re going to be out all day. The sun’s harmful UV rays are not the only reason you should do this. The high levels of pollution that fester in most places today pose a definite problem for the eyes. This is especially true in highly-populated, modern cities that are a hub for industrial activities. Smoke and toxicity run rampant in the air, which your eyes are exposed to constantly, polluting them and drying them out. This can damage your eyes and thus your vision in the long run. Blink more often. This naturally lubricates your eyes and rids them of pollutants. Don’t sleep with your makeup on, especially mascara, eye shadow, eye primer and eye liner. There are several chemicals in makeup which can damage your eyes, causing inflammation and even scratches on the delicate cornea. Read more about why you should remove your makeup here. Don’t read in poor light. No, the idea that your vision will be impaired by reading in bad light is just a myth. 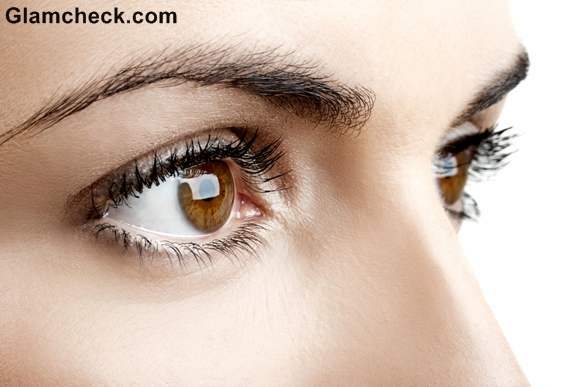 However, your eyes do get strained a lot since they have to work harder to see in dim light. It’s the strain that will get to them in the long run. Look away from your computer/tablet every half hour. The screens of these devices work on LCD technology which employs light for better display definition. You are quite literally looking directly at light the entire time you are engrossed in your laptop or handheld device. It’s like staring at the sun in small, watered-down doses – it may not hurt as much right then but it’s going to make a difference to your vision in the long run. Use a fresh towel to wipe your face every time. Do not dry your face with the same towel you use to wipe your body. Do this for some time and you’ll be surprised at the difference it makes in the health of your skin too. There are several other health conditions which can affect your vision, the most common being diabetes and high blood pressure. These diseases damage your blood vessels which can lead to impaired vision among other side-effects. If you are at high risk of these diseases, make a conscious effort to reduce your risk. Cut down on sugar, manage stress, exercise, eat healthy, and sleep well.